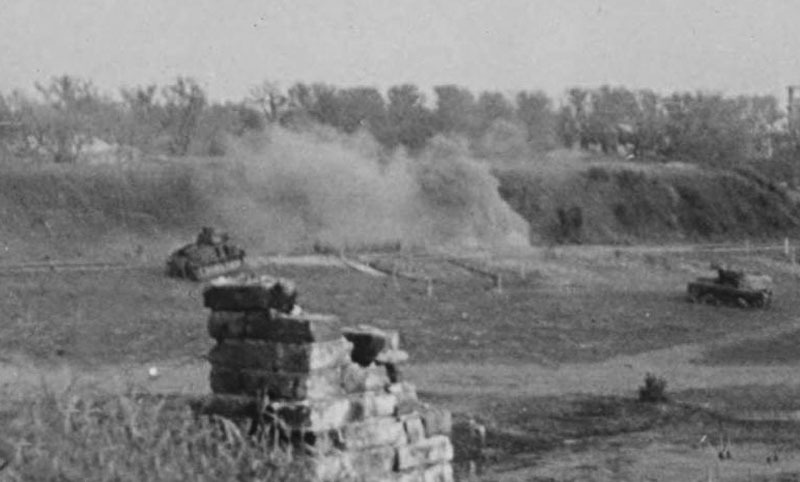 Germans Somua S35 Nr282 from Panzerzug Nr 28 and T-26B from 45 Infantry Division during battle in the Brest fortress. 25-27 June 1941. Germans T-26B from 45 Infantry Division during battle in the Brest fortress. 25-27 June 1941. Also known that 45 Inf.Div. in first fights use 2 soviet tanks and 1-2 soviet armored cars (BA-6 and possibly BA-10). Behind T-26 seen Somua S-35 from Panzerzug Nr. 28. 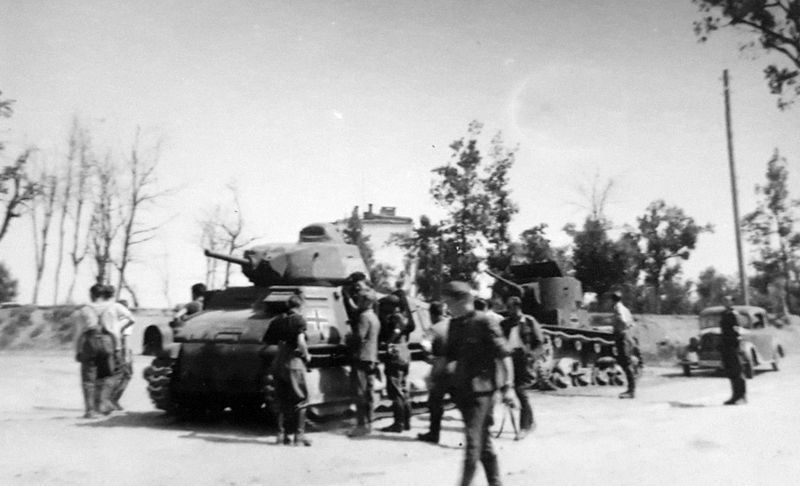 Possibly captured T-26B from 45 Infantry Division fight in the Brest-Litowsk fortress. Near T-26 seen Somua S-35 from Panzerzug Nr. 28.